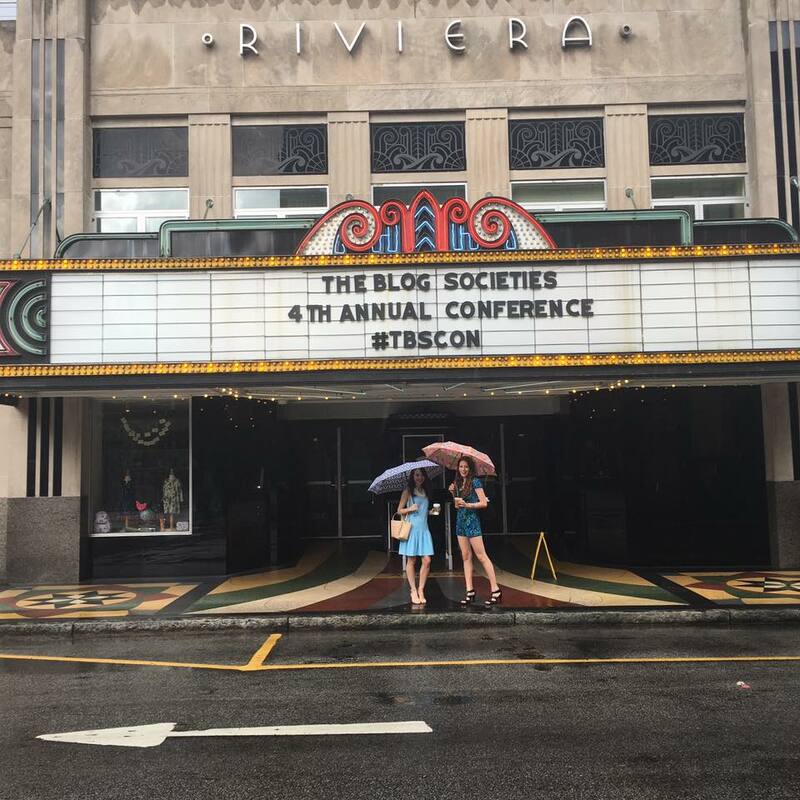 As you have probably seen from all of my recent blog and social posts, I spent last weekend in Charleston for The Blog Societies conference! 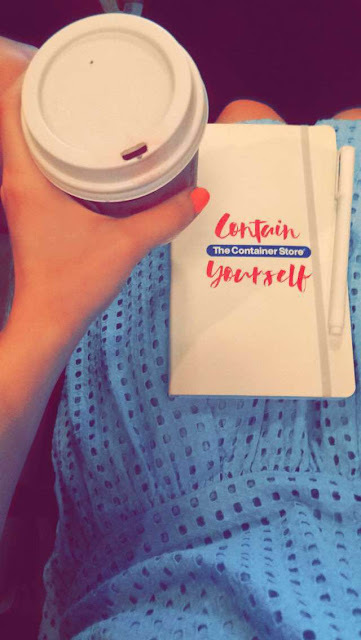 It was so much fun, I learned a lot of useful information, and it was amazing to meet with so many brands and other bloggers. The conference started with a welcome party Thursday night hosted by Vera Bradley. But, since I had just moved to Charlotte the weekend before and started my first full time job that Monday, I worked all day and did not arrive until after the party had ended. 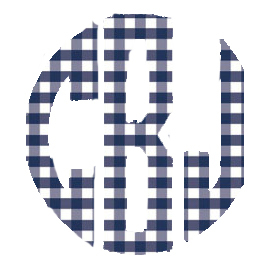 I met up with my roommates for the weekend: Annaliese of Southern Belle in Training, Sarah of Stylish Sassy and Classy, and Morgan of How 2 Wear It, and we headed straight to dinner and drinks in the hotel. We stayed at the Belmond Charleston Place which was where most of the conference activities were held, and we all really enjoyed our stay. The hotel is beautiful, the staff was very nice, and the location is fantastic! It so easy to walk to some great shopping, restaurants, and Charleston landmarks like Rainbow Row and the city market. The conference started with speakers in the Rivieria theater across the street from the Belmond. We heard from representatives of White Oak Creative, Reward Style, Instyle Magazine, and a magazine editor. I really enjoyed all of their presentations, I think I learned a lot from each one of them! Then we had lunch at the Charleston Grill in the Belmond, clearly I only really cared about those desserts! After lunch we headed upstairs for the Networking Suite. It was such a great experience to have representatives from so many fantastic brands in the same room. Along with meeting brand reps and exchanging business cards, there were lots of different activities set up around the room. 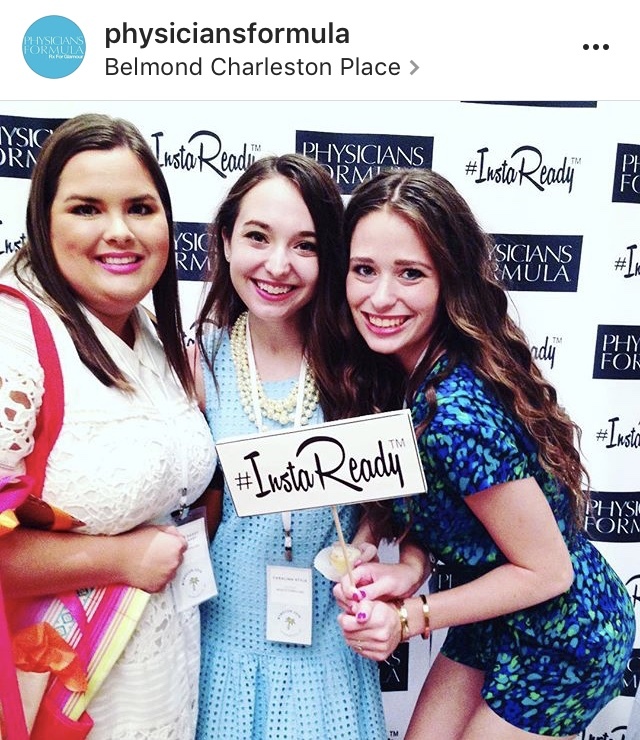 Physicians Formula had a photobooth (as shown above), Wayfair had a table styling challenge, we got to pick out charms, tassels, and other embellishments for jewelry with Moon and Lola, L'Oreal had a hair braiding station, and more! The brands were also very generous, and we all left with more goody bags than we knew what to do with! After the networking, we took some outfit photos on King Street (bloggers gonna blog) and met up with some more bloggers for dinner at Fleet Landing. We all really liked the food there, and they have some great views of the water! On Saturday we had breakfast in the hotel hosted by one of my favorite jewelry brands, Kendra Scott. What a better way to start the day than by looking at pretty jewelry? Then we headed upstairs for the workshops, we were split up into smaller groups for each one. The workshops I was placed in were about pricing blog content, using LiketoKnow.it for Instagram, and photography for bloggers. There were also other workshops about accounting for your blog, SEO for Wordpress, and using Reward Style. The workshops were followed by lunch hosted by Cosmedix. The tables were arranged in alphabetical order, which I think allowed me to meet some fellow bloggers I may not have been able to meet at other times throughout the conference. I loved the food, and how pretty was the table? As soon as lunch wrapped up, we headed out to the streets of the historic district for outfit photos. As you saw in Monday's post, we stopped by The Rise coffee bar for some caffeine before our first shoot. We also went down to Rainbow Row, and explored some of the streets around The Belmond. We didn't think far enough ahead for a dinner reservation on Saturday, so we ended up getting pizza at Mellow Mushroom. Which was still good, there are just some great local Charleston restaurants that we could have gone to if we thought about it earlier. Anyway, we made up for it later when we went out with some other bloggers for drinks at Rarebit, Cocktail Club, and Republic. On Sunday there weren't any conference activities so we had a slow morning packing everything up. We did some photos in our hotel room for a post on Morgan's blog, got lunch at King Street Grill, did a little shopping, and headed back home. It was such a crazy week moving, adjusting to working full time, and going on this trip. But it was so much fun, and I can't wait to go back next year! A big thanks to The Blog Societies for such a great conference! All these photos are making me miss it! Loved reading your recap! Sounds like you ladies had an awesome time! Beautiful photos and it looks like you had fun!Happy Thursday! Ahh the conference looks so fun! I love all of your pictures!